This program spans some seventy years of English sacred music, dating from the reigns of Henry V, Henry VI and Edward IV, and the period of unrest known as the Wars of the Roses. It illustrates the rise of the so-called contenance angloise (English manner)—valued especially for its suave melody, fluid rhythms and prevailing consonance—from its beginnings around 1420 to the repertory of the Eton Choirbook at the end of the 15th century. Sadly only a tiny proportion of the music that must have been written in this period has survived, but the pieces included in this anthology provide vivid testimony to this astonishingly rich and varied repertoire. Read David Vernier's review at ClassicsToday.com in which he has given The Call of the Phoenix the highest possible marks for both artistic and sound quality. "The Orlando Consort functions on a consistently high level both in programming and in execution...this group quickly came to match the excellence of the best male vocal ensembles anywhere, not just in England, and this is as good an example of their singing as we have had. Don’t hesitate to ad this to your shelf. It won’t remain there unplayed for long." "Our male quartet offers virtuosic readings, both in their polished shapeliness and an exciting intensity in timbre and forward momentum. Exquisite." "Their performances here are outstanding both in flawless technique and stylistic insight...They display a keen sense of how the music movies. The phrasing and pacing are always on the mark. The readings are elegant and shapely, with an eloquence that seems to transcend expression in the ordinary sense. It is hard to imagine this music better performed." "Virtuosic readings, both in their polished shapeliness and an exciting intensity in timbre and forward momentum...exquisite." "They have honed their distinctive, rich plummy sound to near-perfection, and their interpretative intelligence shows no sign of letting up. Be it one of the period’s best known pieces (like Frye’s Ave regina celorum) or an otherwise unheard work (like the striking, anonymous Stella celi that opens the disc), their ability to communicate something of a sense of discovery in each piece is remarkable...And what glorious music it is!...I’ll wager that even connoisseurs of this ‘rare’ repertory have surprises in store for them here; and I cannot see how the general listener can fail to be seduced. This is simply one of the best recordings I have heard all year." "the contenance anglaise or 'English manner', a combination of smooth melody, fluid rhythms and systematic consonance beautifully recreated here by the four-man Orlando Consort (including countertenor Robert Harre-Jones). Much of the music of this period is lost, but the work of composers such as Dunstaple and Plummer is typical of the exquisite charms of this extra-liturgical collection." 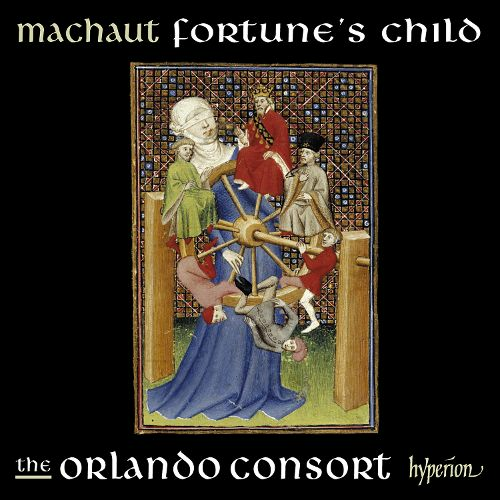 "Orlando Consort is in typically clear, almost mystical, collective voice, in a set of seldom-heard material from 15th century England...The ensemble meanders meaningfully through the century's musical evolution Early music fans will savor the elegant austerity marshaled here."